*Any section for Top 10 for this week, day, month or year will only appear if at least one video was upvoted for it for that particular time segment. For example, if no vote has been submitted for a video this week, you won't see this Week's Top 10 list. Discover the top Islands of Nyne: Battle Royale plays and share your own hand-picked epic plays from Twitch (VODs/Clips) and YouTube (VODs) videos. The page is updated on a regular basis with user-submitted Islands of Nyne gameplay videos shorts with a focus on short high-octane and entertaining plays, rather than long videos. You can also vote for other plays and discuss them with the community. Battle Royale Plays is the best plays for sharing, voting and watching amazing Island of Nyne gameplay videos! Islands of Nyne: Battle Royale (or just Islands of Nyne) is the first sci-fi first-person shooter battle royale game, developed by Define Human Studios and available for PC/Windows as of the time of writing. 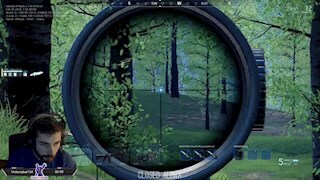 This makes it already different than many other Battle Royale games, as many are played in third-person, whether this one plays in the first-person perspective. Islands of Nyne is a fast-paced BR game that takes place in huge sci-fi inspired alien-built arenas where players are always in search for new weapons and gear in order to survive and stay ahead of their opponents. the game appeals to those who love the Battle Royale (BR) genre but prefer one that plays in the first-person perspective and with sci-fi settings similar to Halo, Doom, Mass Effect, Crysis, and others. The game features different arenas, each with its own unique obstacle-driven battlefield. It was designed to reward players for smart strategic and tactical plays. The developer promised at least 2 maps which will be added for free in the near future. In this page, you can find a large collection of the Top Islands of Nyne plays by streamers, casual and competitive players. You can also submit your own hand-picked gameplay within long videos, so others can see only those amazing plays and not spend too much time watching the in-between. Islands of Nyne: Battle Royale is a fantastic BR game that can yield some really amazing plays and you can find them all here on Battle Royale Plays!